This past weekend I made my usual visit to Best Buy to pick up some new music and I came across an album that I had been hearing a lot of praise about. What I would later find out is that I had just come across the best purchase I have made all year. 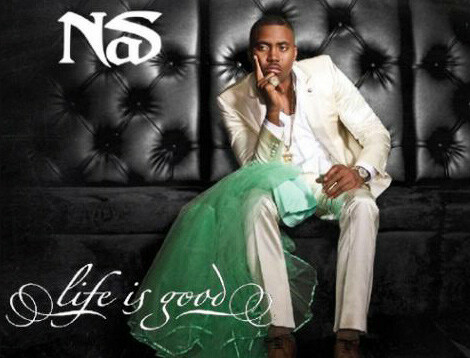 Better known as Nas — Nasir Jones’ latest album “Life is Good” is the best hip-hop album I have heard all year. The album has an eerie ’90s feel to it in which every song has a poignant meaning and there are no wasted lyrics. Nas has always been known as the lyric Messiah to hip-hop since 1993, and he showed an influx of youth and honesty on this album. The song “Daughters” is such an honest manifesto to all fathers out there who have a day-to-day struggle with raising their precious little girls. Nas takes you on a ride of how he is not a strict enough parent and how he believes his street appeal has caused his daughter to be attracted to boys similar to himself. I suggest all fathers listen to the song. One of my favorite songs of the album is “Cherry Wine,” featuring the short-lived talent of Amy Winehouse. I love the way Nas allows Winehouse to dominate the record, given this was one of the last songs she did before her death. At the end, Nas allows her to improvise and to show her God-given talent that frankly makes you shake your head. Such a talent gone so soon. No song is a dud or just a fill in on the album. Every song has a specific purpose. Nas had his songs where he lets the young rappers in the game know he is still a legend. Nas also has the songs where he discusses his divorce, which alludes to the album cover. Nas also has those songs that seem likes they belong in the ’90s where he spews dark street-imposed lyrics over a mixture of drums, horns, and saxophones.